Are you looking to remove an old mattress from your home in Hoffman Estates, but unsure of how to properly handle the disposal yourself? This can be a hassle, especially in a town known for Growing to Greatness. Seek help for your Hoffman Estates mattress disposal needs and book Mattress Disposal Plus to remove it for you. Rely on Mattress Disposal Plus – a name you can trust for fast, friendly and secure Hoffman Estates Mattress Disposal. 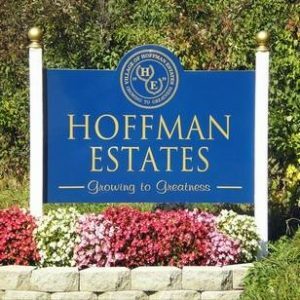 Are you planning a big move or upgrade in the Hoffman Estates area? Then perhaps, it’s time to consider getting help removing your old mattresses, box springs and used furniture to make room for the new. 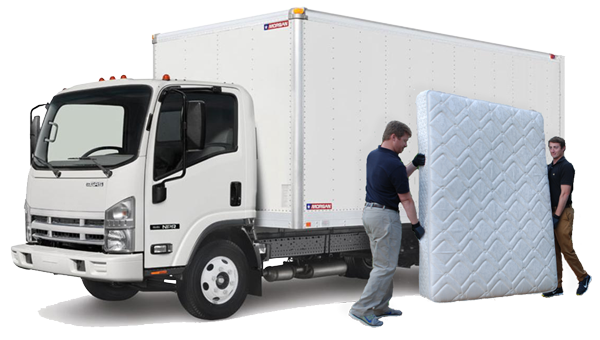 Hire a professional hauler to help you out with mattress disposal in Hoffman Estates. You can save over 65 pounds of material from the landfills by recycling just one mattress and saving its material contents to be recycled into new products. Even just setting the mattress by the curb incorrectly can pollute your neighborhood. We offer dependable, next day recycling pickup in the Hoffman Estates suburb. We service all types of residential and business properties. Our recycling company is the solution to your mattress recycling needs. Call (877) 708-8329 or Book Online to schedule Hoffman Estates mattress disposal. Once we arrive, we will do all the heavy lifting for your scheduled Hoffman Estates mattress disposal needs. There will be no need to worry about how to get rid of your old mattress again. We also offer other services like hauling off your old furniture. We are proud to offer our clients the satisfaction that comes along with quality and efficient service. We provide easy mattress recycling pickup throughout the Hoffman Estates neighborhoods and metro area. We pickup from your home or business with easy online scheduling. We can help with all of your Hoffman Estates mattress disposal needs. No need to turn elsewhere because customer satisfaction is our main aim. We provide old furniture and old mattress removal services to all areas surrounding the Hoffman Estates suburbs including Palatine, Schaumburg, Elk Grove Village, Mount Prospect and more.